The Draper Richards Kaplan Foundation was honored to have General Stanley McChrystal join our annual retreat earlier this year. 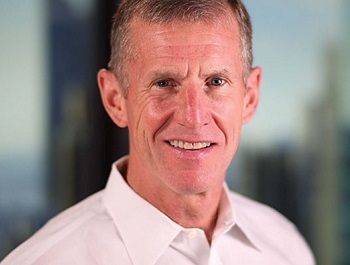 General McChrystal, Former Commander of Joint Special Operations Command, spoke on the new rules of engagement and leadership for a complex and ever-less hierarchical world. “Leadership is not about you, it’s about the work you do…That’s what matters.” His speech was a powerful reminder that in today’s world, we need asymmetric leadership that can respond in real time to imminent challenges. General McChrystal recently penned an article for Time on providing at least one million opportunities each year for young Americans to spend a service year with peers who are different from them — by race, ethnicity, income, politics and religious belief.